Greenway del Lago di Como is a pleasant walk that begins at Colonno, right next to Argegno, and reaches Cadenabbia di Griante. The route follows the path of the ancient Via Regina, the road that was built by the Romans to connect Como with territories over the Alps. The Greenway is a great opportunity for single travelers or couples – as well as for families with children – to see Lake Como from a different perspective. Along this 10 kilometer walk, hikers will find their way through several villages and have the chance to come across wonderful examples of architecture, villas, and gardens they will never forget. 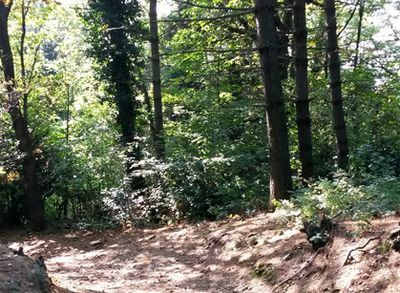 Whether you decide to visit Argegno, Tremezzina, or Menaggio, don’t miss the chance to take a stroll along an easy path that is suitable all year round. The metal signs you will find along the way will guide you to cover the entire distance (lasting about three and half hours) or the five smaller straights. You can start either from Colonno or from Cadenabbia di Griante. The directions below are given for those who start from Colonno. Remember, if you are tired of walking, you can move between towns by taking the C10 bus, which runs on the main street next to the lake. The Greenway del Lago starts in Via Strada Cappella, Colonno, at the southern end of the town (near the bus stop). Follow the signs indicating the Greenway del Lago di Como and then continue along Via Civetta, heading for the center of Colonno. You will pass a little square and cross the bridge over the Pessetta stream, which is frequently dry. Walk on the ancient Via Regina until you reach Sala Comacina, where you will see the chapel of San Rocco. Then, if you want, you can descend the steps and visit the medieval center of the town. Keep walking on the ancient Via Regina and enjoy an amazing view of Lake Como and the Isola Comacina. Cross the bridge on the Premonte valley and enter Ossuccio, a locality of Tremezzina (when you get to the main street, be careful of cars!). Walk on the short footpath next to the ancient Church of San Giacomo, and then head for the interior of the village. You will see the Sanctuary of Madonna del Soccorso in the distance. At the first crossroads, take Via Andrea Castelli. After a few minutes, look on your right and you’ll see the bell tower of Santa Maria Maddalena. At the following roundabout, keep walking on Via Andrea Castelli and, at the end of the street, turn right. Head for the main lakeside street, while passing by the the Church of Santi Eufemia and Vincenzo. Walk on the lakeside street and reach the beautiful Villa Giovio Balbiano, where the second section ends. 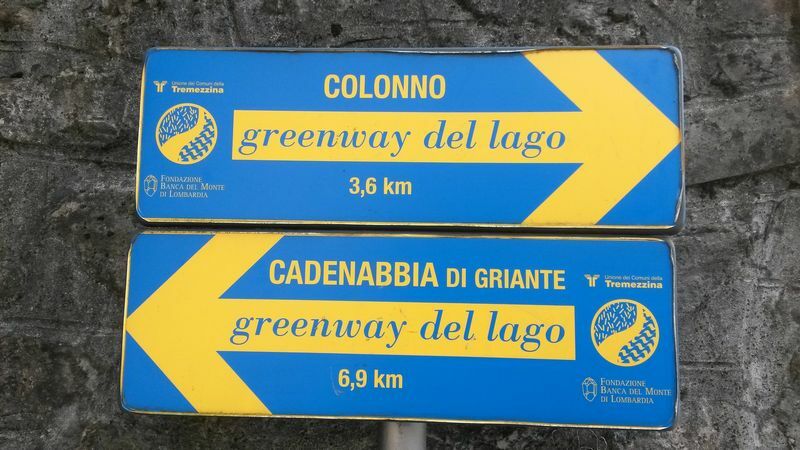 Now you are at the third stretch of Greenway del Lago di Como. Cross the bridge over the Perlana stream and reach the picturesque historical center of Campo di Lenno, another hamlet of Tremezzina. After a few minutes of walking, you will have the Lavedo headland on your right and a small campsite on the left. Past the Albergo Ristorante Lavedo, you will have two options. The first is deviating towards Villa del Balbianello, which you’ll reach after a 1 km footpath that starts from Via degli Artigiani (please check opening hours here). Otherwise, you can continue along the Greenway and head for the Lenno beach. Enjoy a walk on the beautiful lakeside of Lenno, and don’t forget to take a look at the Church of Santo Stefano, the Romanesque Baptistery of San Giovanni, and the little harbor. Cross the bridge over the Pola stream, and then follow a small alley that leads to the main street. Cross it and continue uphill for ten minutes, until you reach Mezzegra. Turn right and then left into Via Pola Vecchia. 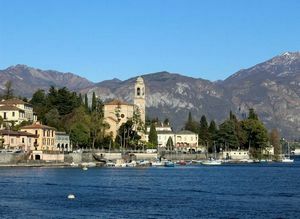 Continue on Via Giulia Brentano, pass the Church of San Giuseppe and get to the Church of Sant’Abbondio, from where you can enjoy a wonderful view on the promontory of Bellagio. Continue slightly downhill and reach Palazzo Brentano, which dates back to the 17th century and was built by the rich local Brentano family. Walk on the antique urban center of Bonzanigo, then go down towards the lake, turning left into Via delle Gere. Cross the bridge over the Bolvedro stream and you will finally reach the main street that runs next to the lake. After a few steps you will see the Grand Hotel Tremezzo, which was built in 1910 and is still one of the finest hotels around Lake Como. 3 minutes later you will get to Villa Carlotta. During your stay on the lake, you absolutely must take some time to visit its botanical garden and museum. After a few meters, you will arrive in Griante. Your stroll on the Greenway del Lago di Como ends when you reach the English church that was consacrated in 1891. Here you can wait for the C10 bus and get back to the place where you started. 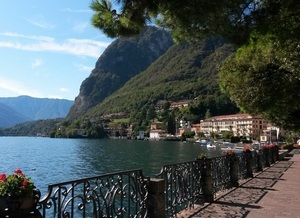 The final length of the Greenway del Lago di Como runs entirely along the lakefront of Tremezzo. One of the first things you will see is the beautiful Villa Sola Cabiati (once known as Villa La Quiete), which features a well-curated Italian-style garden. Pass the pier of Tremezzo, then cross the road in order to walk along the antique arcades with shops and restaurants.